Because we are a nation of infantilized yahoos, I am able to present to you, verbatim, the second question1 posed to Tom Brady on Thursday, as he stood behind a lectern to discuss the tempest in a protective cup known as Ballghazi. I am not making any of this up, either. This is a very big country. So, I would imagine, there are any number of uncomfortable conversations about a number of subjects going on at any one time. This is only one of them, and it is very minor — but, because we are a nation of infantilized yahoos, this is where we are. Watching the Great Media Hippo doing a moral ballet. To chronicle their heroes, the ancient Greeks had Homer. We have sports talk radio. This says nothing good about Western civilization. There was a catch in his voice, and a kind of halting rhythm to the way Brady spoke. He sounded very much like a man explaining how he walked away from an airplane crash. Part of this is the fact that, on Monday, as soon as the story broke about the possibility that the Patriots had been up to some shenanigans with the game balls while they were obliterating the Indianapolis Colts, 45-7, in the AFC Championship Game, the country proceeded to lose its freaking mind on the subject. Sports Illustrated ran a piece in which one accusation against New England was sourced to “well-founded whispers.” (This, I suppose, is not to be confused with either ironclad innuendo or very reliable rumors.) Serious people in serious media venues have proposed disqualifying the Patriots from playing in the Super Bowl against the Seattle Seahawks. And, please god, won’t somebody think of the children? And then he kept walking. There are a lot of people claiming to have a gun here. Nobody yet has produced one. Nevertheless, because of New England’s history, especially the whole Spygate business that hangs around the franchise’s neck like a dead raccoon, anything is assumed to be possible. (Here, from the same SI piece, is a remarkable sentence, purporting to explain Belichick’s gimmicky formations that so befuddled the Ravens: “Technically, what Belichick suggested was legal.” Oh.) But disqualify the Patriots from the Super Bowl? Blow up a game between the two best teams in the league for the purpose of having Kam Chancellor devour Andrew Luck on national TV? Bill Belichick is unlikely to be fired. 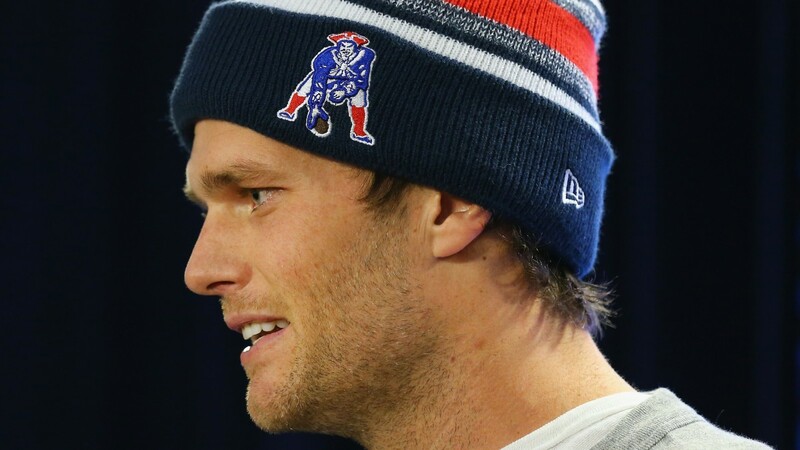 Tom Brady is unlikely to be suspended, at least not until next year. Anyone telling you that any of these things is likely, quite frankly, are either trolling, or they are insane. There is no third alternative. Over the side, Tom. Watch that first step. And Belichick now goes on two-year probation, during which time anything he says regarding the importance of being a team must be taken with a salt lick the size of Utah. Truth be told, this whole hootenanny could have been avoided if not for one of those quirky features through which the National Football League, which makes approximately a quadrillion dollars a year, decides to behave like a third-rate dirt track in Fort Smith, Arkansas. This is a league that fines Marshawn Lynch 100 grand for refusing to talk to mooks like me. It won’t let him wear gold cleats. But the most basic element of the game, the ball, gets treated like something that gets shot out of a cannon at halftime as a souvenir. In every game, the balls the kickers use are under league supervision every moment. This could easily be done with all the game balls. But, instead, each team is allowed to use footballs of its own choosing on offense. No other sport does anything remotely like this. (In one of history’s king ironies, this ridiculous system is the result of a petition circulated in 2006 by a number of NFL quarterbacks, chief among them Peyton Manning and Tom Brady.) This obviously leaves a loophole for chicanery through which Vince Wilfork could run with daylight on either side of him. Further, would it really put a dent in the NFL’s budget to hire actual ball-security experts who get paid by the league, instead of enlisting the defensive backfield of whatever high school football team is closest to the stadium? The whole thing is flatly hilarious. The way you can be sure of this is that the ladies of The View pronounced themselves outraged by the perfidious Patriots on Thursday morning. Rosie O’Donnell wanted them booted from the Super Bowl. (Trolling or insane? Our lines are open.) Moreover, because of the miracle of Twitter, and the fact that we are a nation of infantilized yahoos, everybody in the bunker at Gillette Stadium became aware of what the ladies of The View felt, and many of the assembled press felt compelled to get various New England players’ reactions to Rosie O’Donnell’s commentary. Me? This is what I think: Once a scandal starts being discussed on The View, it stops being a scandal and becomes a sitcom. I think this should be a rule. You know who had a terrific day yesterday? Three lawyers named Charles Rankin, James Sultan, and Michael Fee. Not long after either the Patriots or the Seahawks win the Super Bowl, these three lawyers will go into court to defend Aaron Hernandez, who, were he not accused of killing a man, would be catching semi-inflated footballs for the Patriots. The evidence against Hernandez seems fairly strong, and he’s being tried in Bristol County Superior Court, where rarely a judge is spotted who reminds you of Louis Brandeis. So these three lawyers have quite a battle on their hands. Unless they all decide to get drunk together before opening statements, their most obvious strategy will be to throw so much dust into the air that people will get lost trying to find the courthouse coffee shop. And the most obvious way to do that is to put the entire enterprise that is the New England Patriots on trial. And the most obvious way to do that is to arrange to put Belichick up there on the stand under oath and play handball with his credibility. And all of that has become a lot more obvious over the past few days. If Bill Belichick is the dark genius that his most fervent detractors insist he is, then he’s goddamn bad at being a dark genius. He keeps getting caught. He got caught with the videotape deal. Now, it is alleged, he got caught in a penny-ante scheme to gain an edge in a game his team was winning from hell to breakfast anyway, and he now will spend the rest of his career doing million-dollar time for a 75-cent crime. 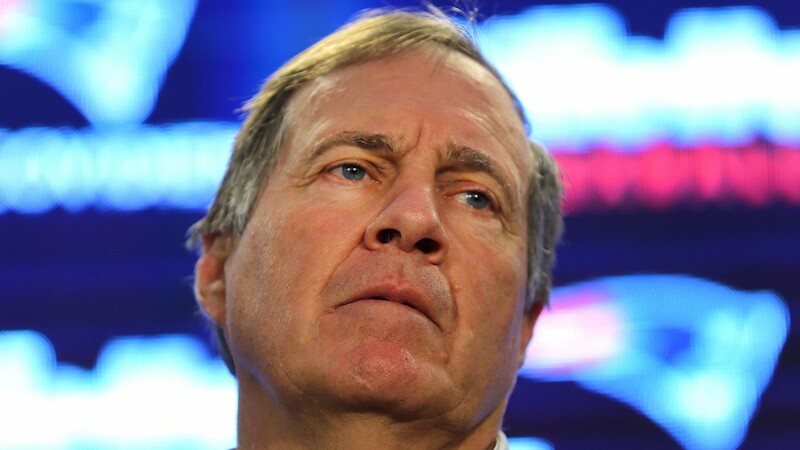 If Bill Belichick is the dark genius that his most fervent detractors say he is, then there’s another Bill Belichick, the stubborn, arrogant, and not-altogether-bright Bill Belichick, who keeps screwing up the spells, like Mickey Mouse as the Sorcerer’s Apprentice. As it happens, I don’t believe in that second guy. I think it is Belichick’s stubbornness and arrogance that give power to the dark magic, and those are his most fundamental flaws as well. Before that, though, he began by telling the world how he didn’t know anything about how the game balls were handled, which exactly nobody believed, because there isn’t anything concerning football about which Belichick knows absolutely nothing. But, then, he went off on a bizarre riff about how he uses junked-up balls in practice so that his players are used to any conditions. This was an answer to one of the few questions about footballs that nobody had asked this week. Let me just say that my personal coaching philosophy and my mentality has always been to make things as difficult as possible for players in practice. And so with regard to footballs, I’m sure that any current or past player of mine would tell you that the balls we practice with are as bad as they can be — wet, sticky, cold, slippery. However bad we can make them, I make them. And any time that players complain about the quality of footballs, I make them worse and that stops the complaining. So we never use the condition of the footballs as an excuse. We play with whatever, or kick with whatever we have to use, and that’s the way it is. That has never been a priority for me and I want the players to deal with a harder situation in practice than they’ll ever have to deal with in the game. Maybe that’s part of our whole ball-security philosophy. I’m trying to coach the team and that’s what I want to do. There is no way to interpret this except as a shot at the Indianapolis Colts (and, maybe, the Baltimore Ravens) for diming him out on this particular episode. The obvious subtext was that, even if the Patriots did engage in a little jiggery-pokery on Sunday, and on the previous Saturday, then the other coaching staffs should have been wise to it and prepared their teams accordingly. That, Belichick clearly implies, is what he would have done, had he been coaching against, well, him. Brady, on the other hand, was sadly reserved, almost wounded, throughout his half-hour press conference. This is the first time his own integrity as a competitor has been called into serious question, and that is not an easy thing for anyone, especially when it’s being called into question in the context of a nation of infantilized yahoos. Hell, even Brady found himself wandering into the same minefield of double entendre that is the hallmark of this entire confounding episode. This moment is about where the whole thing departed the trolley forever. “Everybody has a preference,” Brady said. “Some guys like them round. Some guys like them thin. Some guys like them tacky. Some guys like them brand-new. Some guys like old balls.” Cue AC/DC. And, as the sun went down on a long day’s journey into nonsense, I’m sorry, but if you can’t see the humor in this preposterous burlesque, then you’re having nowhere near enough fun in showbiz.